Exhaustion and heat stroke caused by scorching summer temperatures on Thursday killed 10 people in seven prefectures and sent 2,605 people to hospitals, according to the latest figures. Extremely hot weather is predicted continue on Friday, as the Meteorological Agency urged people to drink sufficient water to prevent heat exhaustion. A total of 246 people were rushed to hospitals in Aichi Prefecture, 241 in Osaka, 190 in Saitama and 131 in Tokyo. 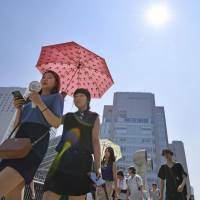 Temperature rose to as high as 40.7 Celsius in Gifu Prefecture. 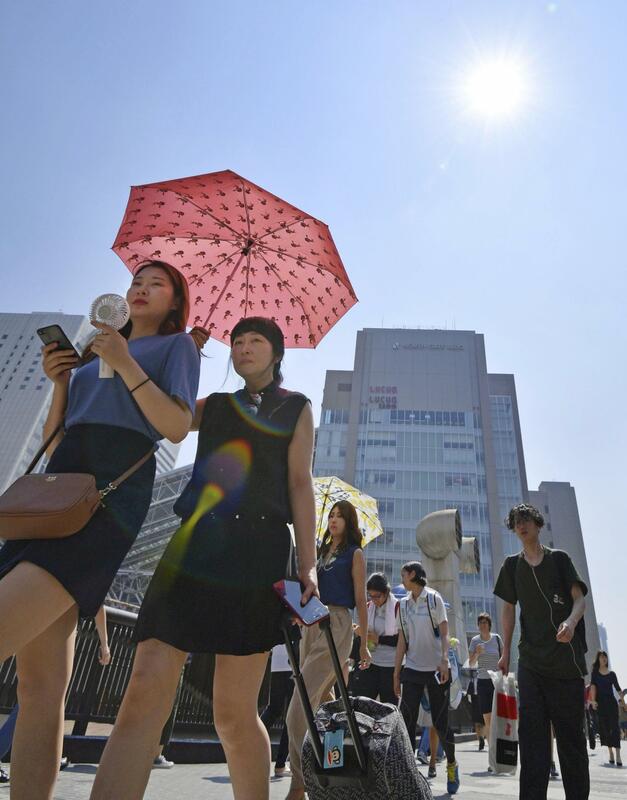 Tokyo rescuers responded to more than 3,000 emergency calls Wednesday, a one-day record, as a deadly heat wave continued to grip Japan, preliminary data from the city’s fire department showed Thursday. A total of 317 people, from a 1-year-old infant up to a 105-year-old, were taken to hospitals in the capital Wednesday. The number of emergency calls broke the previous record of 2,900 set the previous day. The education ministry instructed local education boards and universities nationwide to take thorough measures to prevent heat stroke. A 6-year-old boy died Tuesday after attending an outdoor class at his elementary school in Aichi Prefecture. The ministry warned that people could suffer from heat exhaustion even with temperatures of 25 to 30 degrees, depending on humidity and other conditions. The mercury continued to hover well over 35 C in many areas of Japan on Thursday, with Kyoto registering 39.8 C, the city’s highest-ever recorded temperature. The Meteorological Agency warned of extremely high temperatures and called on people to take precautionary steps such as drinking water and adjusting room temperatures.